To a real book lover, there′s much more about books to be enjoyed and savoured than just the story or the words. Many of our favorite books become plays with playbills or films with posters, or come with collectors′ bookmarks. Beloved authors write letters, sign napkins, have their photographs taken with other authors, doodle. and these souvenirs - or ephemera - become as collectible or moreso than the book itself. While AbeBooks is solely a website for books, we do also welcome this book-related, paper-based memorabilia to be listed as well. a scrapbook?"). Photographs are digital, communication is electronic, and the ways in which we record events that are precious to us are becoming less and less tangible. I love finding old black and white photographs in antique stores, leafing through them, wondering about the smiling or stony-faced old-fashioned people there. Who were they? It seems unlikely to browse through a dusty collection of memory cards. The word ephemera has two meanings. On AbeBooks, it refers to to any item created with a short-lived purpose in mind - ticket stubs, pamphlets, advertisements, posters and the like all serve a specific purpose. But the other definition of ephemera - short-lived, fleeting, temporary - is also more and more applicable. As a result, these items have never been more rare, more precious or more collectible. From doodles, photos and screenplays to miscellaneous collectible scraps, here is some of the most interesting and collectible book-related ephemera for sale on AbeBooks. Please note: prices are approximate to within a small margin, as currencies fluctuate. Czechoslovakian one-sheet film poster for the classic 1972 film, "Cabaret," directed by Bob Fosse and starring Liza Minnelli and Michael York. Probably the most striking one-sheet ever conceived for this film, which brings together the film′s elements of decadence, cabaret life, and Nazi oppression all into a single image. This is a fantastic full color poster limited to 500 copies signed by Maurice Sendak, author of the beloved children′s book Where the Wild Things Are. Issued on the occasion of the opening of a Sendak exhibition at the Rosenbach in 1978. It measures 17 1/2" x 23", matted in fine condition. It shows a Sendak self-portrait waving into a mirror in which Mickey Mouse′s image is reflected waving back. Attractive and early advertising work by Seuss for the Narragansett Brewing Company of Cranston Rhode Island. 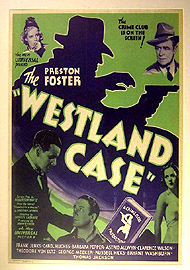 Original poster print, 25 1/2 inches by 18". Seuss artwork for the poster features a very ′Seussish′ ram-like creature. Extremely scarce. American one-sheet film poster for the classic 1963 film, "The Great Escape," based on the novel by Paul Brickhill, directed by John Sturges, written for the screen by W.R. Burnett and James Clavell, and starring Steve McQueen, James Garner, James Coburn, Charles Bronson, Richard Attenborough, and Donald Pleasance. A rare original US promo half-sheet poster for the 1979 United Artists film ‘Moonraker’, starring Roger Moore as Ian Fleming′s James Bond. A ′half-sheet′ is a vertical view American movie poster measuring approx. 22 x 28 inches, generally issued rolled and on thicker stock paper or soft card. fame, when he died, and was buried, as Mark Twain. Funny and snide letter from Doris Lessing which reads: "You ask for a handwritten poem or piece of prose. You must know that these are bought by collectors, universities and such. In other words, you are asking me for a handout. Why? This is a rhetorical question." Two letters from Maltese Falcon author Dashiell Hammett to his secretary Miss Wolff, one of which reads: "Dear Miss Wolff, I feel too lousy to work today--thank God. See you tomorrow. D.H.". Lengthy letter from Margaret Mitchell to New York Herald Tribune book reviewer Herschel Brickell in which she discusses success of Gone with the Wind: "I′m tired of avoiding autograph hunters, people who want me to make speeches, candid cameramen and reporters who want to know very peculiar things which really are none of their business." Postcard from John Steinbeck which reads: Dear Mr. Mitgang: I have your letter of June 22. Unfortunately I have never kept letters and consequently do not have any of Carl′s. I am sorry about this but I don′t think we ever had a very extended exchange." and John Steinbeck′s signature in blue fountain pen. The ‘Carl’ to whom he referred is the writer and Pulitzer Prize winning poet, Carl Sandburg. Original cutting and continuity for both the film and the film trailer for the 1968 film "2001," directed by Stanley Kubrick and written for the screen by Kubrick and Arthur C. Clarke. Original mimeo sheets, dated July 8, 1968, nicely bound in black buckram, with silver titles. Fine condition. Screenplay. Stapled and mimeographed sheets. The second page, which lists the characters, has had the actors′ names handwritten in. Boldly Signed on the front page by most of the principal players: Jack Benny, Dorothy Lamour, Edward Arnold, Phil Harris, Monty Woolley, Betty Grable, and Eddie "Rochester" Anderson. 6 1/4 inches x 9 1/4 in., 125 pp. + numbered colophon page, signed by Charles Bukowski, and with his Little Man with flask sketch on the colophon page + biographical note page; the blank page, which has been signed by Barbet Schroedder, Mickey Rourke, and Faye Dunaway, is bound in after the title-page. First edition. An original screenplay by Paul Monash, based on the novel by Stephen King. Noted on the title page as "Shooting Script" and dated June 11, 1979. ~All pages [numbered -195] are white, measuring 8.5" x 11" in size, and are three-hole punched and bound with metal pins in red, heavy stock paper covers with title and logo on the front cover. Winnie the Pooh gathering jars of hunny (sic) into a picnic basket with an open cupboard in the background. Titled beneath the drawing, "Made up a little basket" / House at Pooh Corner, in pencil by Shepard, and dated June 1959 by E.H. Shepard on the reverse. Offered here is a marvelous large drawing of Curious George by H.A. Rey. It is executed on white paper in chalk, signed. The image is large measuring 8" wide x 10" high in fine condition. George is grinning with pride as he balances in a large beach ball. There is a bird flying next top him. Simply a great piece by a beloved children′s book artist whose original work is rare. Beloved character of the Cat in the Hat from celebrated children′s author Dr. Seuss (Theodore Geisel). Original artwork in black felt tip and red crayon. A fine drawing of The Cat in the Hat. Inscribed "Best Wishes! Dr. Seuss". Framed. Offered here is a charming original drawing by Helen Sewell for the first Little House book published by Harper Brothers in 1932. It is the published image that appears on page 69 of the book. Depicted are the 3 children and a pig all seated on a sled on the snow in the woods. Original art from this classic is rare. An original sketch of Snoopy, signed by Charles M. Schulz and inscribed "For Dave." From the estate of artist, author, and movie and television personality David Humphreys Miller. In 1950s Los Angeles, Miller co-hosted the CBS television program "Cavalcade of Books," which featured interviews with contemporary authors. Charles Schulz was a guest on the program in 1958 or 1959, and most likely created this sketch for Miller then. Inscribed above and beneath the image by the author "To Mrs. F. B. Rice with the best wishes of Mark Twain" and dated "Feb. 20 / 08". Signed and dated by the photographer lower left. Original photograph, approximately 3.5" x 5.5", used by Scribners for reproduction on the rear panel of the dustjacket for the third through seventh printings of The Sun Also Rises. Hemingway gave this photograph to his parents, and on the reverse the author has inscribed it: "This was before I got sick. Note the freckles. Tell umpster to give ein kiss to Papa." This Centennial Edition was fittingly limited to 100 copies. Each volume contained a copy of a G.F.E. Pearsall photograph of Whitman pasted onto a sheet of paper and inserted just before the title page. Whitman personally signed all 100 copies. It is this signed portrait that we offer for sale, removed at some time in the past from one of the books. A wonderful portrait pose of Churchill. Approx. 36 x 28 cm. A large contemporary portrait photograph signed "W. S. Churchill" on the mount below the photo. Framed, mounted and glazed. Fine condition. Exceptional Early Signed Photograph, a wonderful printed photograph mounted on a matte. Depicting the young Disney holding an open copy of "The Adventures of Mickey Mouse" with drawings of Mickey and Minnie Mouse standing on his shoulders, with Mickey playfully pulling on Disney′s ear. Disney has signed in ink, "Walt Disney", beneath the image. First Edition. Truman Capote′s original Birth Certificate - issued in the parish of New Orleans & registered the 3rd day of October, 1924 & showing the birth of Truman Streckfus Persons, September 30th, 1924. A unique document. A bit tattered but still quite bright & clean. The world never knew a dirtier couple of skirt-chasing boozehounds than R. Crumb and Charles Bukowski. 2 1/8 in. metal button with pin on back. Features a 3 color portrait of Bukowski by illustrator R. Crumb, with cityscape on light yellow background, name & address of publisher around rim & Black Sparrow logo. Earliest rendering of the work, later printed in Sitzungsberichte der Preussiche Akademie der Wissenschaften, Physikalische-mathematische Klasse. A page of a bunch of calculations, notes, theories, all part of Einstein′s second serious attempt to unify gravity and electromagnetism within a single field. From 1930 onwards, including that for the final year of her life, 1941. Eight of Virginia Woolf′s engagement diaries for the last years of her life, with her manuscript entries and other notes throughout; a necessarily sketchy but intimate guide to her final productive years. 1349: Year of the Black Death. It is now believed that between 50%-60% of the population of England (and indeed Europe) perished. Yet because it took place so long ago, documents contemporary with it are virtually non-existent on the market. Like this feature? You might enjoy our Unusual Bindings Feature and our Collectible Screenplays feature.